Each of the 12 sets has 3 kits that are packaged together. 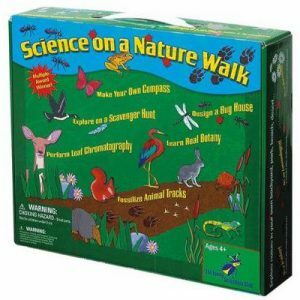 You will also receive Science on a Nature Walk free! From Experience we can tell you that once your young scientist completes one set, s/he will ask for another. 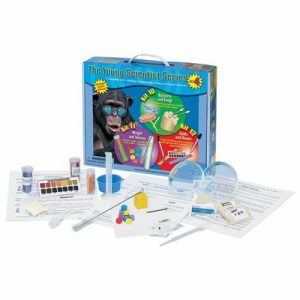 We have bundled together all 13 award winning sets, discounted the price so that you save on these wonderful award winning science kits. They are perfect for long hot summer days and gift giving. And what about those rainy or snowy days when the kids are cooped up inside the house and whining, “I am so bored. I have nothing to do.” Wallah! 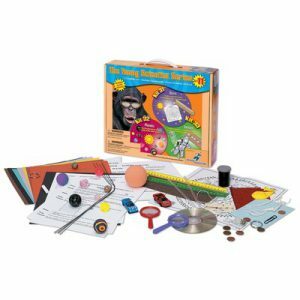 Magically you surprise your kids with hours of exploration because you had tucked away these fun kits for just such an occasion. Specifications – Discount Package includes .. The Young Scientists Club’s Award-Winning Hands-on Science Kits were designed by a team of scientists, Harvard graduates, educators and parents. WARNING: Choking Hazard – Children under 8 can choke or sufficate on uninflated or broken balloons. Adult supervision required. Keep uninflated balloons from children. Discard broken balloons at once.